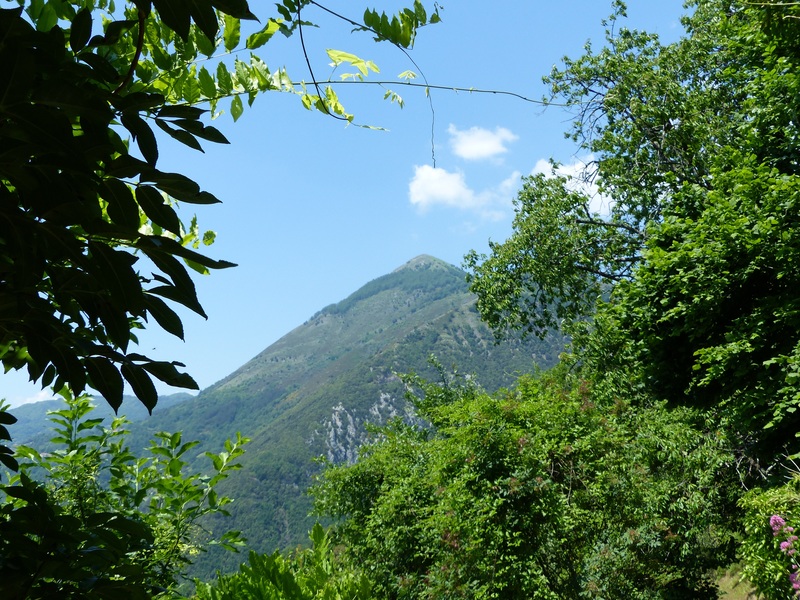 Casoli sits 586 metres above sea level on the edge of a steep cliff over the Lima River. 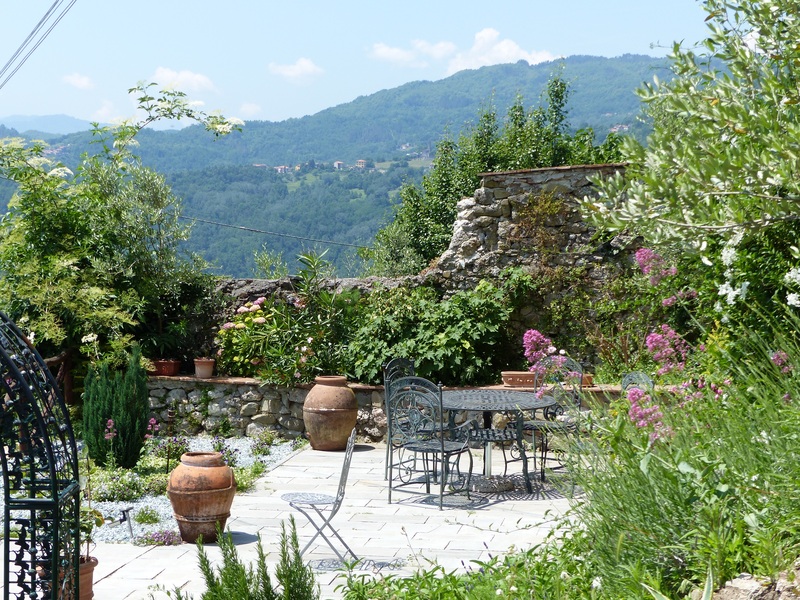 It is 13 kilometres from La Villa, the centre of Bagni di Lucca. 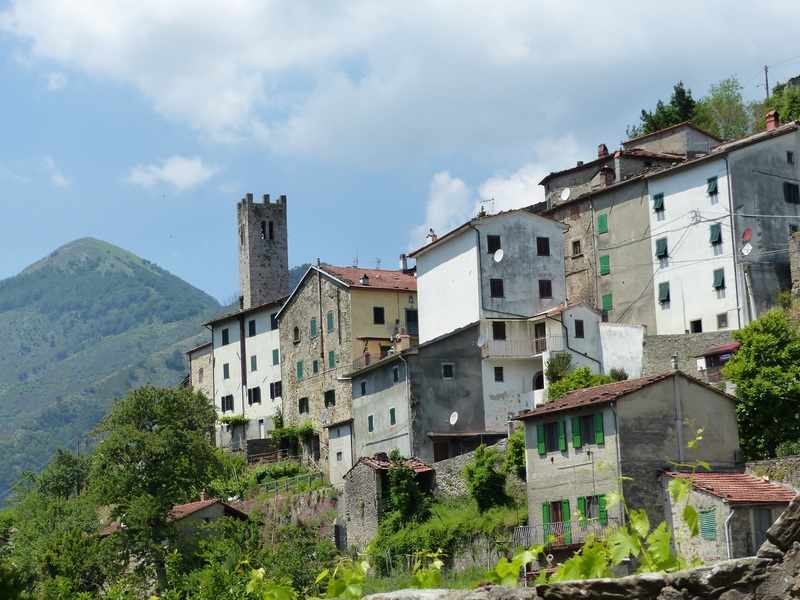 Take the Brennero towards Abetone and cross the lovely Ponte Maggio and follow the narrow, winding road to the village. 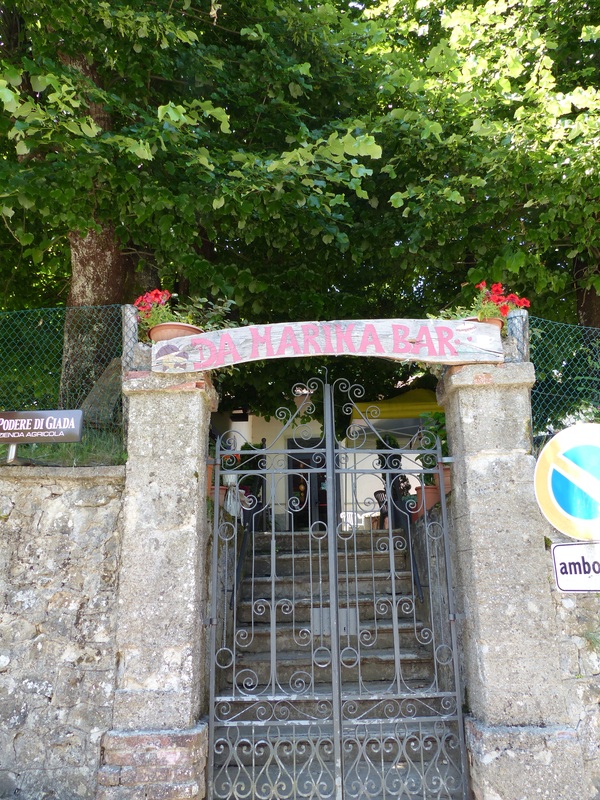 There is a car park at the entrance to Casoli, in front of the bar/cafe, which wasn’t open on the day I was there. 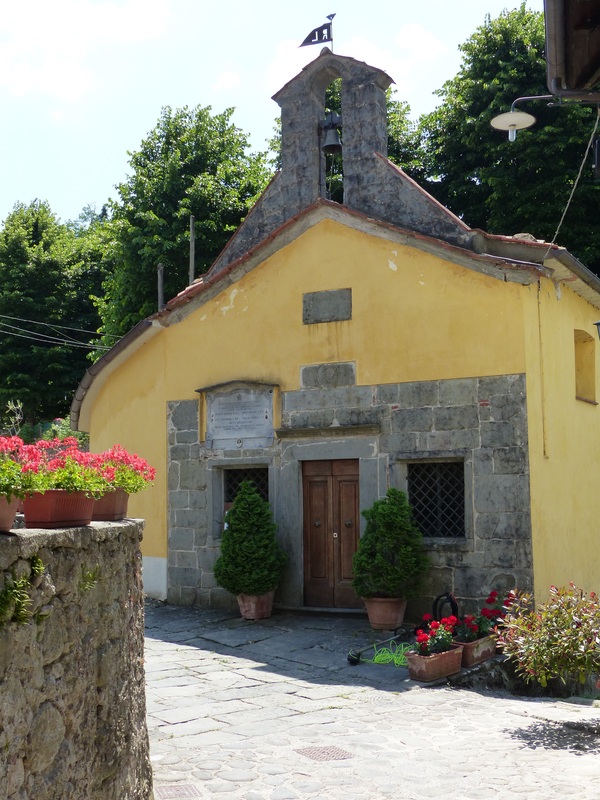 Not far away is a lovely little church, and beside it the mule track to the next village. The old washing area is still there, but no longer used. 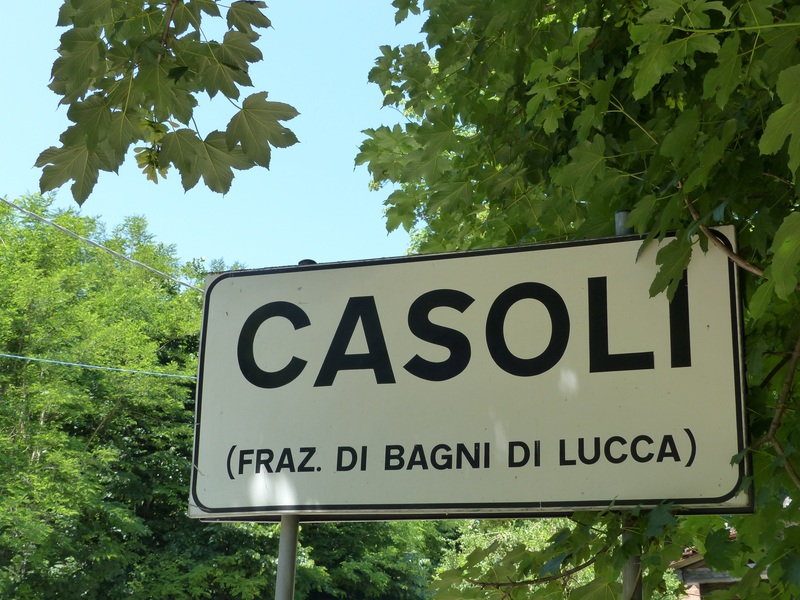 Come for a walk through Casoli. There are a couple of gorgeous B&Bs in the village. 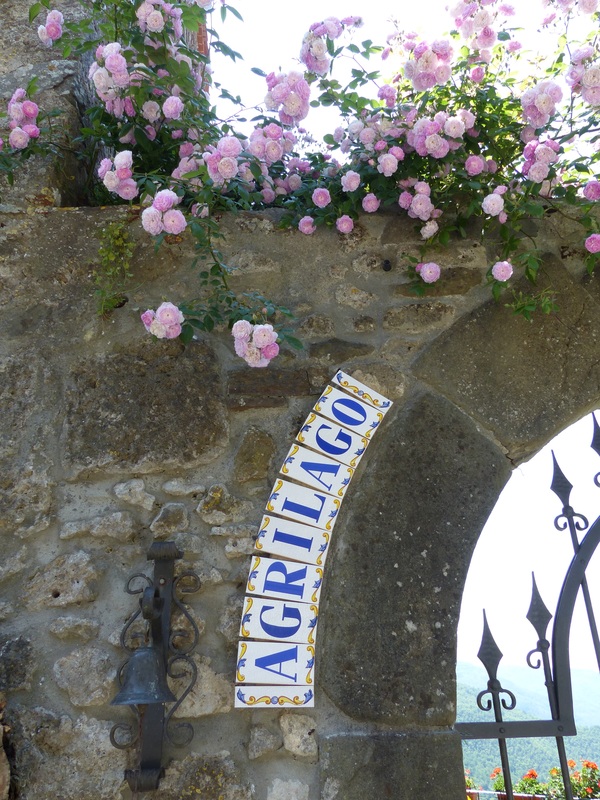 I absolutely love the climbing roses at the entrance of this beautiful accommodation. 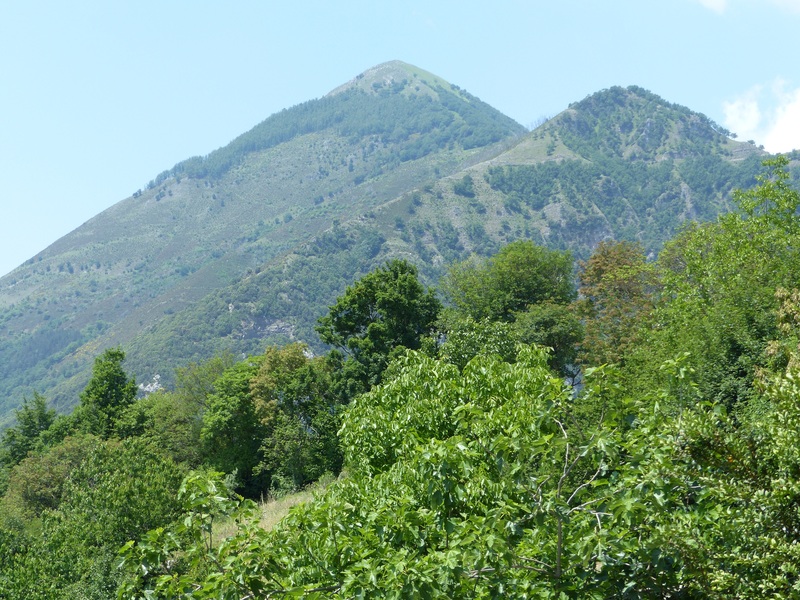 The views from Casoli are spectacular. 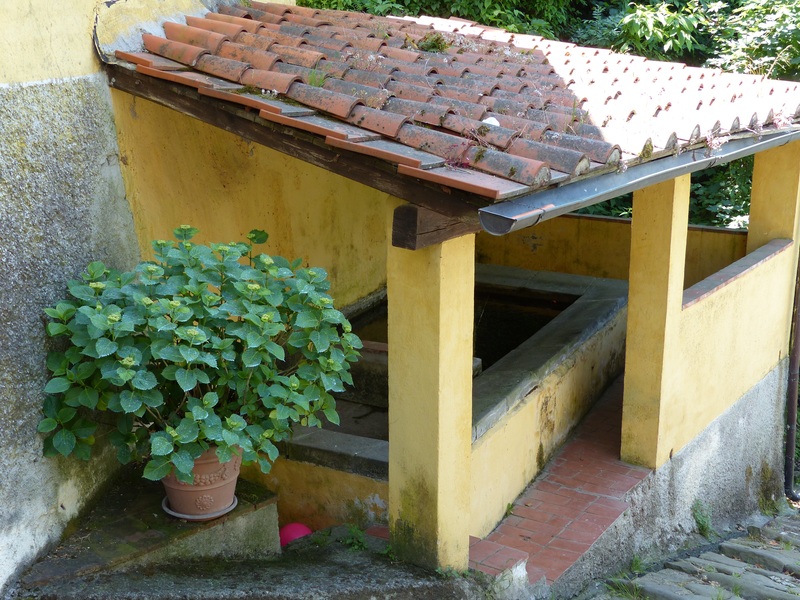 Every one of Bagni di Lucca’s villages has something special to offer…don’t miss Casoli. I hope to find the restaurant open on my next visit. I have heard good reports. 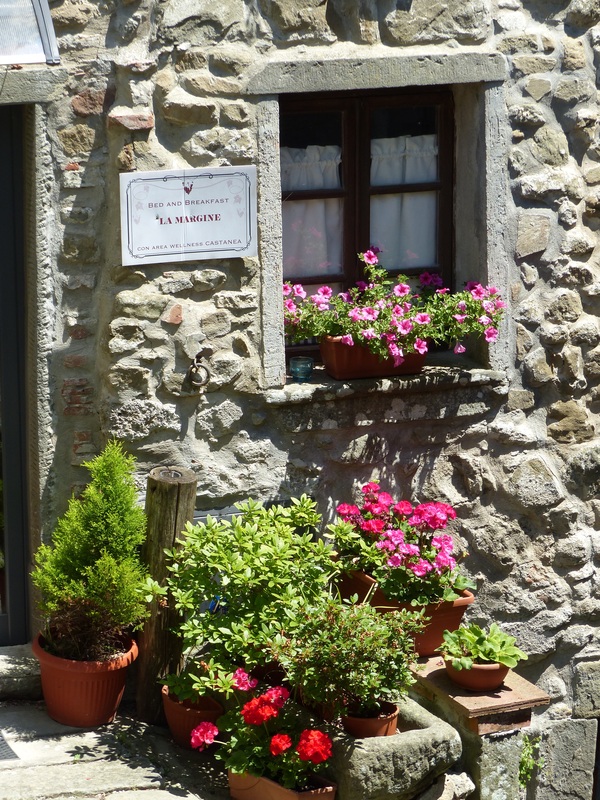 This entry was posted in The villages of Bagni di Lucca and tagged Bagni di Lucca, Casoli, Italy, mountain villages in Tuscany, photography, travel, Tuscan villages by Debra Kolkka. Bookmark the permalink. The ceramic of the Holy Family is lovely. Could it be a della Robbia? And how old would that carved face in the next photo be! It looks too new to be a real Della Robbia. The one beside it is a scacciaguai I think. I will definitely try the restaurant on my next visit. I don’t know this place, but looks wonderfully peaceful. 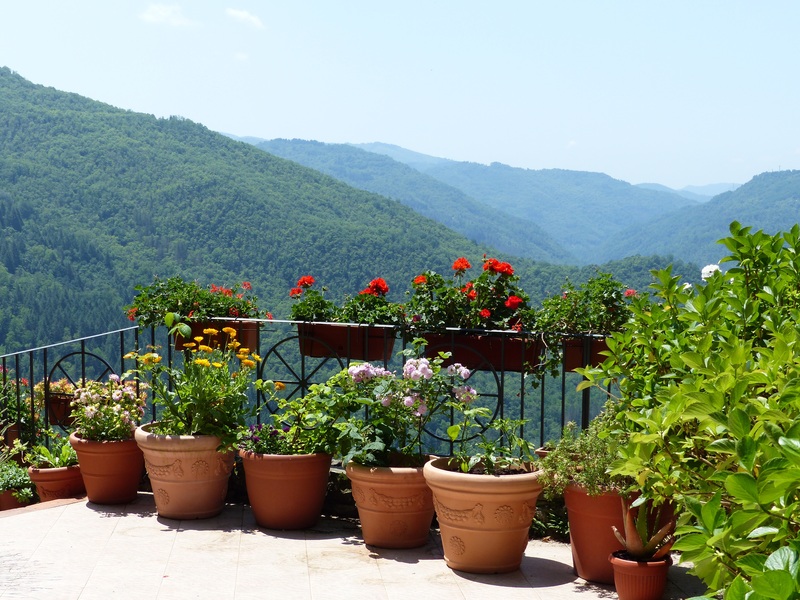 It is a very tranquil place, like many of the mountain villages. Is there any end to the surprises and treats that this lovely area has to offer. Just another reason to love it. Each of the villages offers something interesting. 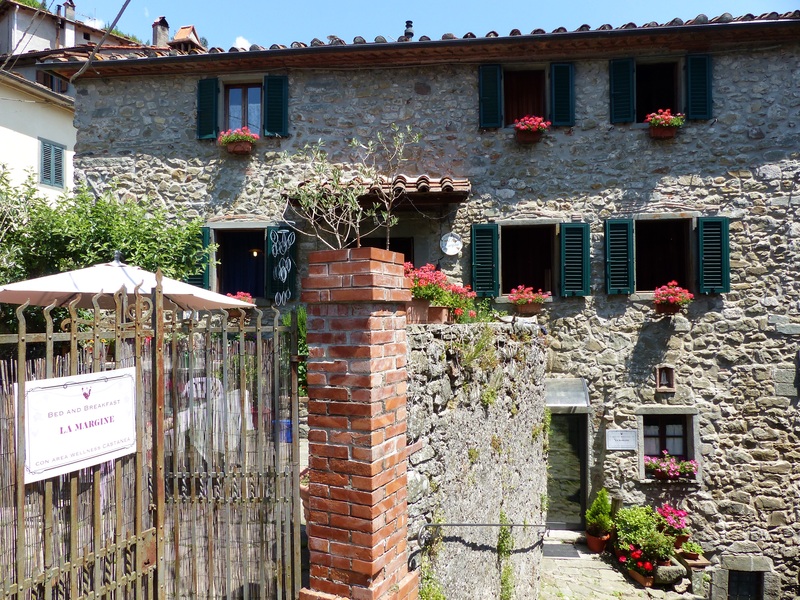 Another beautiful village in Bagni di Lucca. Lovely photos Debra. I took the photos in late spring, clearly the best time to do so. 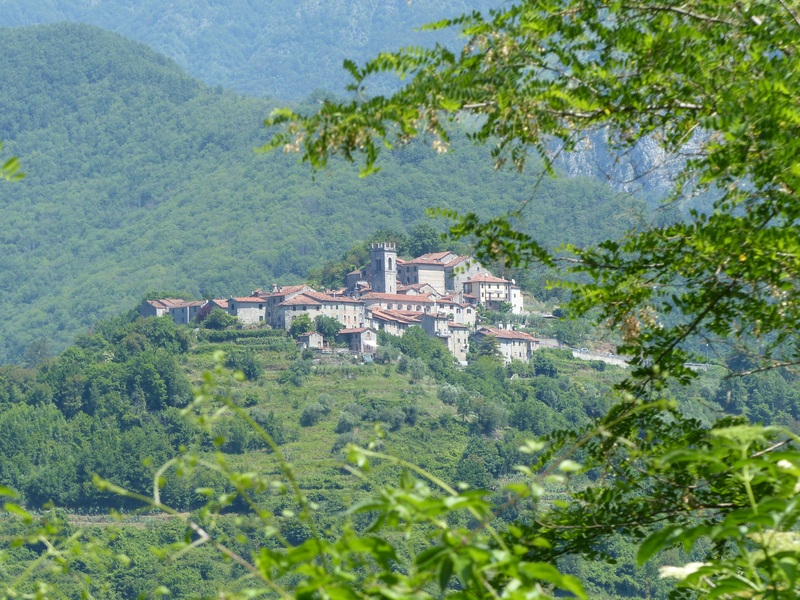 Bagni di Lucca has so many lovely villages that it would be hard to decide which one is the prettiest. Great photos, Deb! Each one is special in its own way. 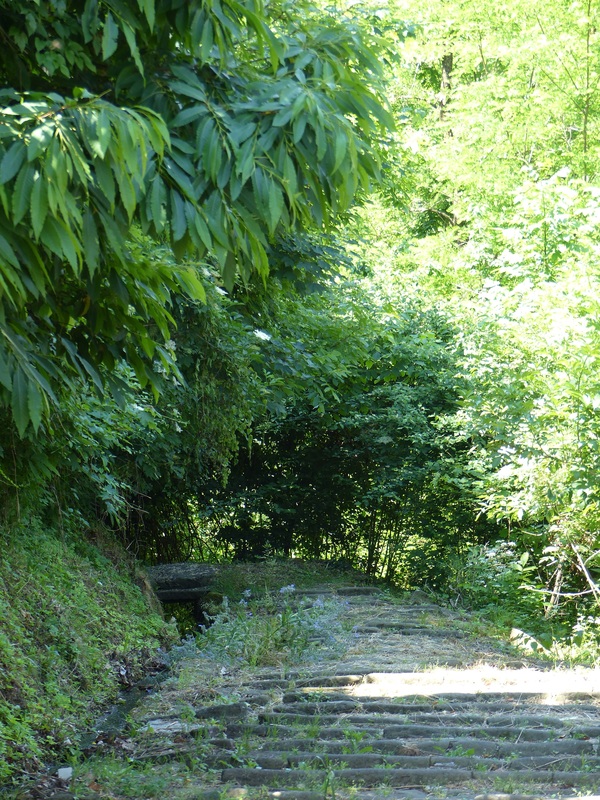 Absolutely delightful…love the idea of a mule path between villages.